A real winter warmer. Most comforting, welcoming and hospitable on a damp winter night. Inky deep , full bodied , one sip and it invites you to keep going. Not the most complex of noses, but I think marvellous value for £8.99 from Majestic. Would certainly recommend a case , which will go down well with most hearty foods . 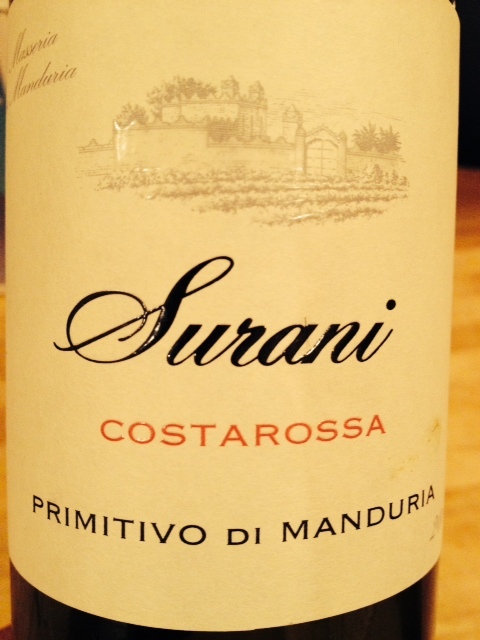 Categories: wine of the month | Tags: primitivo | Permalink.